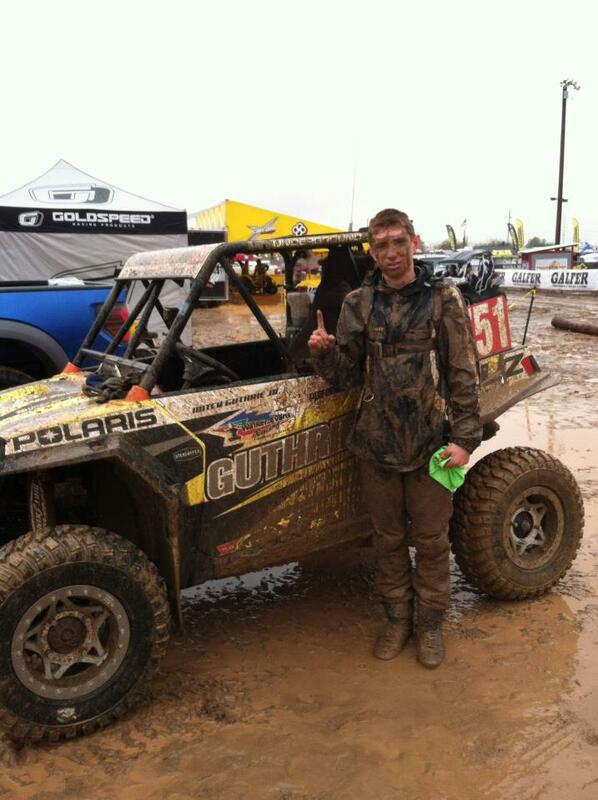 Anaheim, Calif. – January 30, 2013 – GBC Motorsports kicked off the 2013 WORCS Racing Series with some remarkable finishes in some of the most challenging conditions imaginable for a west coast race. After months of off-season preparations, GBC racers headed to Canyon MX in Peoria, AZ for the opening round of the 2013 WORCS ATV/SXS Season. There was a solid turnout in every class despite the adverse conditions as more than an inch of rain dumped on the course before racing was scheduled to begin. After a short delay to perform track maintenance and some rerouting, the racing commenced and the season was underway. The weekend was certainly highlighted by Mitch Guthrie Junior’s victory in the SXS 1000 class. Mitch fought through the mud aboard a set of Kanati Mongrels to take the early points lead, and also clocked the 4th best time among the SXS Pro and SXS 1000 competitors. 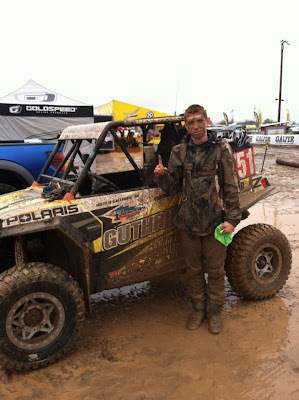 Fellow GBC racer Mike Gardner took his GBC Dirt Tamers to a 5th place finish in the SXS 1000 class. More than 20 drivers turned out for the SXS Pro race, and GBC claimed 3 of the top-10 positions among a very competitive group of racers. Leading the way was Wesley Barker with a 4th place finish and 5th Overall, followed by Tommy Scranton with a 7th place class finish and 9th place Overall. Tim Wyatt joined them with an 8th place effort and rounded out the top-10 Overall. Andrew Berry and John Pacheco stuck it out for 17th and 19th, respectively. 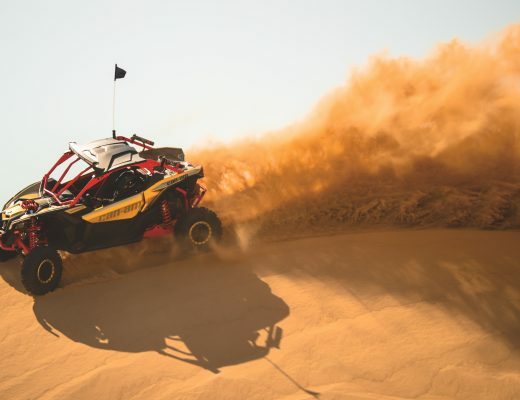 Title contender RJ Anderson had his Mongrel equipped RZR running in third place before having to drop out due to an electrical issue. Anderson and Guthrie Jr. did combine to give GBC two of the top three qualifying times, both on the new Kanati Mongrels. Nolan Remlinger was the sole GBC pilot in the SXS 850 class and put together a 5th place finish aboard his new Mongrels, which was good enough for 7th Overall among 850, 700 & 600 racers. On the ATV side of things GBC had several riders compete in multiple class races, notching a few more top-10 class finishes for GBC Motorsports. In addition to opening the WORCS season, these ATV racers had the chance to break in their new and improved cross-country tires from GBC Motorsports, running XC-Racer rears (formerly Race Rex) and XC-Master fronts (formerly X-Rex). Brian Sirevaag put together a 6th place run in the Pro-Am class, and also raced to an 8th place finish in the Prod A class. Cody Mitchell finished 8th in the Pro-Am race and 12th in the Prod A battle. Jose Mendoza finished 14th in the Pro-Am and also landed in 6th place in the Open A race. It was an exciting if not unusual opening to the 2013 WORCS season, and GBC Motorsports looks forward to putting their tires and racers up against some of the toughest competition and courses in coming rounds. GBC Motorsports is offering over $75,000 in GBC Bucks contingency throughout the 2013 WORCS season. See full rules and download the forms [here]. WORCS ATV/SXS returns February 8-10 with the second round at Buffalo Bills in Primm, NV. Visit www.gbcmotorsports.com for a look at their full lineup of ATV and SXS tires, and follow them on Facebook and Twitter to get the latest product and racing updates.